Official U.S. Navy photo # DN-SC-92-06242, by F.E. Zimmerman, from the Department of Defense Still Media Collection, courtesy of dodmedia.osd.mil. 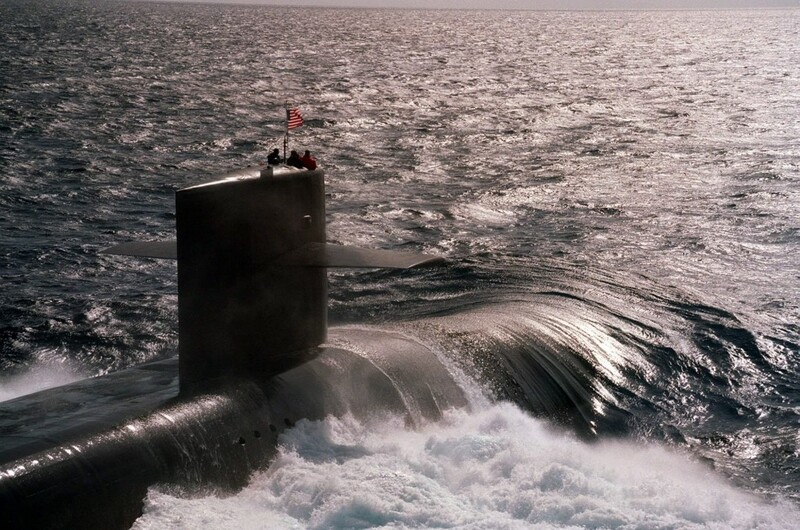 USS KENTUCKY (SSN 737) was launched August 11, 1990, at Electric Boat in Groton, Connecticut by the ship’s sponsor, Carolyn Pennebaker Hopkins. The submarine was christened not with the traditional bootle of champagne, but with a custom blend of Kentucky bourbon specifically mixed for the occasion. OHIO class (TRIDENT) SUBMARINES are the largest, most powerful submarines ever built in the free world. At 560 feet in length and 18,700 tons, they are the nation’s first line of defense. They are well equipped to accomplish this task. Virtually undetectable, TRIDENT’s serve as undersea intercontinental missile launching platforms. Their mobility, quietness, and speed make them the most survivable of our nation’s strategic system. Faster than their predecessors and equipped with highly accurate sensors, weapons control systems, and central computer complexes, they are armed with sophisticated MK-48 anti-submarine torpedoes and TRIDENT II missiles. Each vessel carries two crews (BLUE/GOLD) of 172 officers and enlisted men, all specialists in their respective fields. The Navy has eighteen OHIO class submarines.